Black beans are one of our favorite ingredients at SNAP4CT. We have almost every type of dish imaginable using black beans- try them in a Dip, a Salad, with breakfast, or even in a dessert! Heat beans in the microwave for 1 min or on the stovetop until heated through. Microwave tortillas between two sheets of slightly damp paper towels on high for 15 seconds. 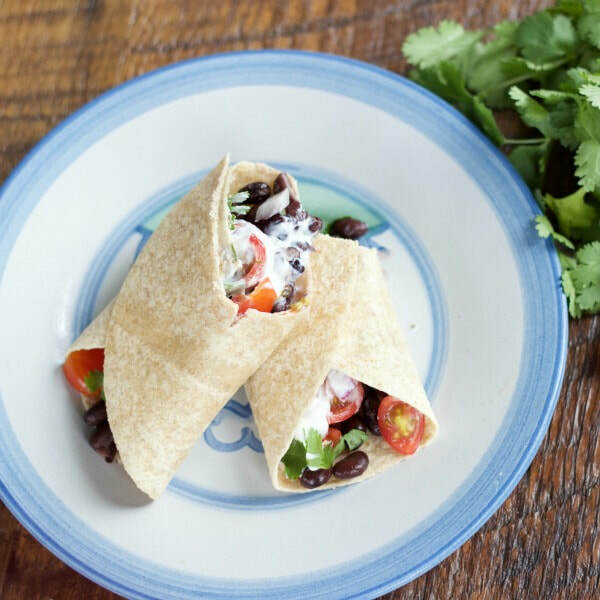 Divide beans, tomatoes, and red onion between each tortilla. Top each with yogurt and cilantro, and fold each tortilla to enclose filling. *Nutrition information includes whole wheat tortillas in analysis.